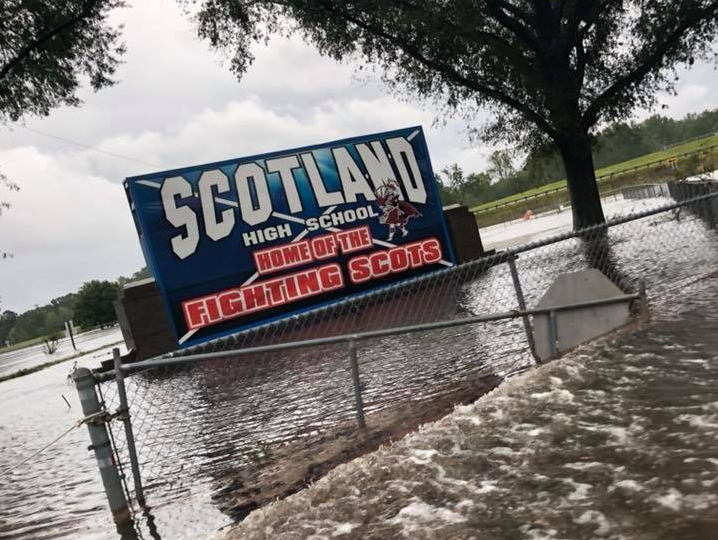 Scotland High School in Laurinburg, North Carolina flooded as rivers rose from Hurricane Florence's massive rainfall. A tributary to the Leith Creek runs across the school's property. 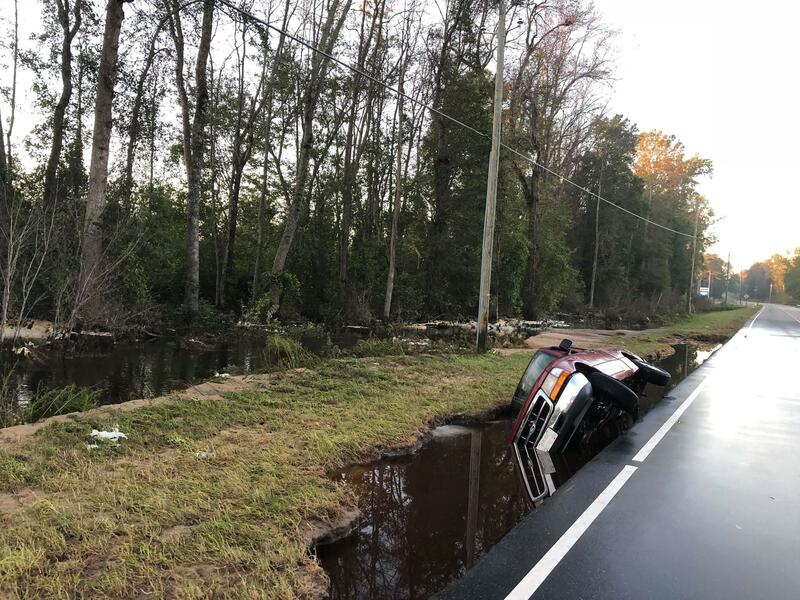 Wilmington received the full brunt of the hurricane's winds and flooding. As initial flood waters receded, school administrators there were tallying the damage. Administrators like Valita Quattlebaum, the chief communications officer at New Hanover County Schools. "Right now we are dealing with what I would describe as devastation," Quattlebaum said. The north end of Wilmington is deep under water, and a few schools there were still unreachable on Wednesday. Major highways into the city remain cut off by flooding. Meanwhile Quattlebaum says maintenance crews and some of the few school staff who did not evacuate were checking out the schools they could reach. "All the schools have some level of flooding, some major, some minor. We have downed trees and different debris around," Quattlebaum explained. "So our preliminary assessment is that there's been significant damage." Quattlebaum said the district's own maintenance staff will be able to clean up schools with minor damage and get them up and running the soonest. "I would think at this point we're looking at earliest in October," Quattlebaum said. Based on data from the state Department of Public Instruction, at least 80 percent of North Carolina's public school students have missed some school because of the storm - from delays to extended closings. Most schools in the southeast are closed at least to the end of this week. Meredith Bounds is a spokesperson from Scotland County Schools, southwest of Fayetteville. She said their staff are working to get students in as soon as possible. "In times like this creating a sense of normalcy for our students is always a positive thing," Bounds said. "We're one of the poorest counties in the state of North Carolina, so many of our students, don't have access to food on a good day. Road damage in Scotland County has school administrators concerned about finding new bus routes to bring students to school when classes can start again. Bounds said school officials are eager to get students back to give them a dry, safe haven and a hot meal. While a couple of Scotland County's schools were without power or water this week, Bounds said the real limiting factor to restarting school is getting to students. Many roads in the area remain flooded or badly damaged. Bounds said transportation will be the school's biggest challenge, forcing the school district to devise new bus schedules and bus routes. She said she expects that schools from her county all the way east to the coast are facing that same dilemma of how to reach students. 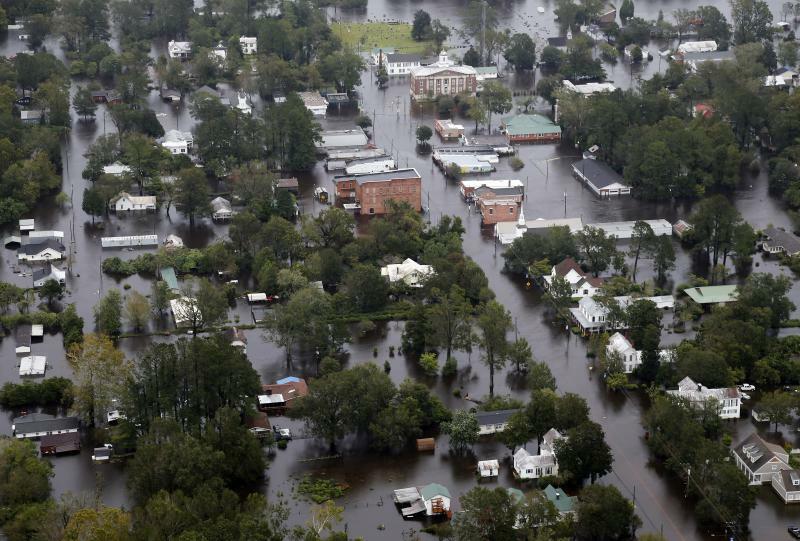 Catastrophic flooding from Florence spread across the Carolinas this weekend, with roads to Wilmington cut off by the epic deluge and muddy river water swamping entire neighborhoods miles inland. 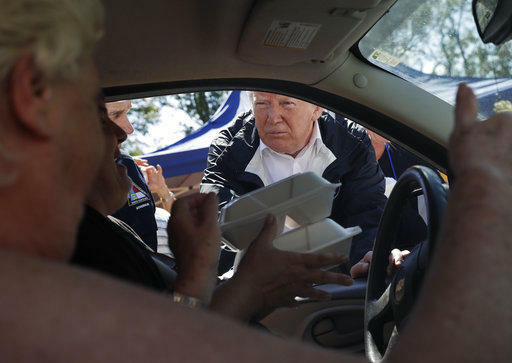 North Carolina is still reeling from Hurricane Florence. The death toll from the storm rose to at least 37 people in three different states Tuesday, with 27 fatalities in North Carolina. There are roughly 10,000 people still in shelters. 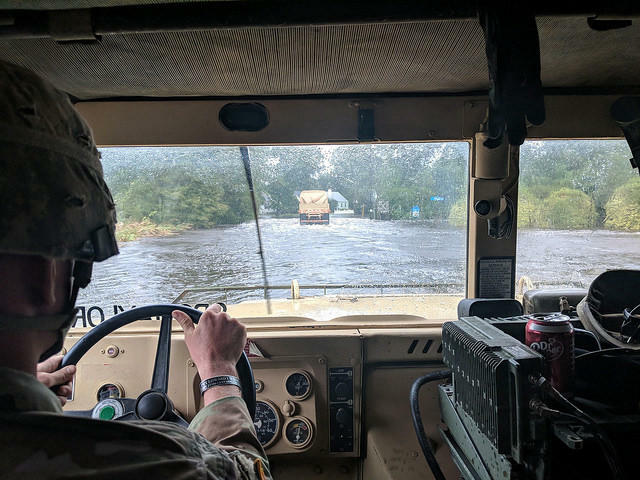 Governor Roy Cooper urged those who evacuated to stay put.